If you want to read a little more Soap and Glory products type Soap and Glory into the search bar on the right (scroll down a little) and you’ll be able to find my blog posts all about them. This is a brand I have loved for years and I love that I get to share some of their products with you too. For your change to win this gorgeous Soap and Glory gift set please enter using the Rafflecopter below. There are a couple of mandatory options but most of them are optional for additional entries… the more you enter the bigger your change to win. – The giveaway will run from 13th January 2015 – 6th Feb 2015 and is open internationally. – The winner will be emailed and/or announced in a blog post. The winner will have 28 days to claim their prize. If I do not hear from them within this time frame a new winner will be picked. If the winner has not entered all of the entries they have claimed to, all of their entries will be discounted and a new winner will be picked. – If you are under the age of 18 please seek parental permission before entering. – The prize will be posted 2nd Class standard delivery to the UK/untracked internationally. I will not be liable for any loss or damage but will make sure the prize is packaged well. If you want to pay the additional fee for recorded delivery you are welcome to do so. Calm One Calm All looks good! Just what i need after a hard days work and looking after my 2 year old! I don't really have a favourite at the moment! I've never tried the brand so I'm excited for everything. Hi! It's been forever since I've taken a nice hot bath so, I'm most excited to use the bath soak. Thank-you for this generous chance!! the righteous butter, i am so excited about this! and my all time fav skin care product is my body shop tea tree oil cleanser! I would like to try the Hand Food as I work in a hospital and am always looking for new products to help my poor dry hands. My all time favorite skin product is Sanctuary Spa body butter mmmm! I've never tried these products! I've never tried the brand but I would love to try everything! I would love to try The Righteous Butter and my all time fave skin product it's a body lotion by Nivea! Never been lucky enough to try any of the Soap & Glory” range so am excited to try them all. Thanks for the chance to win, my real name is Christine Lockley. The Soap & Glory Body Butter is an all time favourite for me but I really love the whole range. I remember falling for the scent of a S&G shampoo which was the first of their products I tried. I believe that will be interesting to try Calm One Calm All Bubbling Bath Soak :). And my all time favourite skin care product is Nivea body lotion. I'd like to try Soap and Glory The Righteous Butter. My skin kept drying out so quickly so I need more than just body lotion. My favorite skincare product is Etude House AC Clinic Daily Acne Foam Cleanser. never tried any product of this brand I guess I would go for the shower gel!! I would love to try Hand Food! And my fav skincare product would be Belif's Moisturizing Bomb. Thanks, lovely chance! 😉 Love Calm one! I've heard so much about Hand Food! Thanks for doing this giveaway! I would love to try the Righteous Butter, and my fav skincare product is the mint julep masque! I am most excited about the Skin Food and my fav skincare product is the Giovanni D:Tox cleanser ! I really want to try the Hand Food. I dont really have a favorite skin product. I want to try all of them but most of all The Clean Me Shower Gel. I love using La Mer products. If I win, I would be really excited to try the Calm One Calm All Bubbling Bath Soak – it sounds just fun in my bath ! 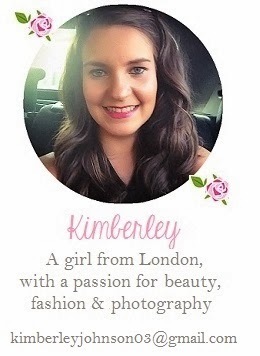 Thank you, Kimberley, for a lovely pinky giveaway ! I would love to try the Clean On Me Shower Gel !!!!!!!!!! !My fave skincare product is Etude House AC Clinic Daily Acne Foam Cleanser. I would love to try all these products, since I haven't tried anything from Soap&Glory yet. I would love to try the Righteous Butter. Vaseline Jelly Cocoa Butter is my all time favourite skin care product. I've heard so many things about Soap&Glory but never actually tried their products as we don't have them in Finland. I'm really interested in the bath soak though! I think my favourite skincare products right now are the Body Shop masks! It's the first time I hear about Soap&Glory, but the products seem to be nice and good. I love to use moisturizers to care of my skin! I'd like to try the shower gel! I love Lush product also. I really want to try the bubbling bath soak! I'm most excited to try the Hand Food. I love to try The Righteous Butter. My favorite skincare it is moisturizer cream. I am most excited to try The Righteous Butter. I love Nivea blue cream. I'm excited to try Hand Food,and absolute favorite would be Balea Aqua Serum. Great giveaway… I've never tried the brand so I'm excited for everything. Calm One Calm, I don't have a favourite. I ve never teste thi brand , so all these lovely products are really interesting for me! I actually Yves rocher products for my all days routine. I did like 5 bloglovin posts but hit enter before I could write them all & now can't edit it!